Tag Rugby Belts for Sale UK | PREDATOR! Predator! 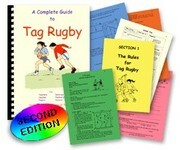 manufacture 2 types of Tag Rugby Belt. Universal Size all Velcro Tag Rugby Belt and pair of Tags. Universal Size Tag Rugby Belt,with buckle fastening, and pair of Tags.